For those of you that are not big football fans, Marquette basketball tickets are still available for tonight's game. 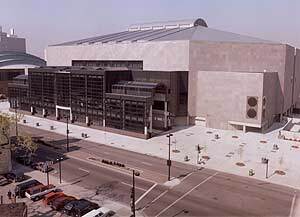 The 1-0 Golden Eagles host the Norfolk State Spartans tonight at the Bradley Center. Tip off for tonight's game is at 7 PM. Lower level seats are starting at $5 each. Tickets can be picked up in our downtown Milwaukee office located at 751 N. Broadway St. at the corner of Broadway and Mason streets. After tonight's game, Marquette will not have another home game until November 28th.